Writings by spiritual teacher Sri Chinmoy. or call (61-3) 9499 1728 during business hours. Presented with simplicity and clarity, this new Meditation book will take you from the beginning stages of concentration and meditation through the advanced practice of contemplation and higher states of consciousness. Sri Chinmoy's writings belong to the ancient stream of wisdom teaching is that elevate meditation to the sacred and restore its deeper purpose of spiritual awakening and self-knowledge. A structured step-by-step guide to meditation. Techniques that anyone can learn. Developing your power of concentration. How to find, and keep, lasting inner peace. Breaking through negative emotions like anger and fear. How to unfold your deepest spiritual self. Plus special sections where Sri Chinmoy answers over 100 questions on a wide range of experiences often encountered in meditation. 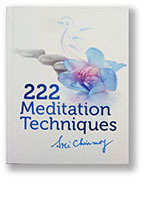 Suitable for both beginners and advanced seekers who wish to explore the world of meditation. Whether meditation is something new to you or an established practice in your life, the discovery of the endless treasures that it brings is an ever-unfolding adventure. Meditation is a path leading us within; we follow it with the help of aspiration, our inner cry for happiness, love and truth. Once we begin to discover the beauty of a silent mind and a peace-flooded heart we realise that this inner journey never ends. This book is intended as a daily life manual relevant accessible simple and eminently practical that will lead you into a world of meditation exercises from the very first page. Life, like any adventure, has challenges. To overcome them and find peace, we seek practical, lasting solutions. With selections from the writings of Sri Chinmoy on numerous aspects of our everyday life, this book introduces us to a modern spiritual lifestyle with a particular focus on health, diet, sport, family life and the workplace. This book offers profound insight into the connection between the realms of angels and fairies, and the difference in the roles that these beings play in relation to us. In a style that is both joyful and uplifting, the author describes the habits and behaviours of these beings, and his personal and profound descriptions shed light on the role of both angels and fairies as messengers connecting the Divine with the human. Sri Chinmoy, a renowned contemporary spiritual teacher, speaks with confidence of a fully illumined Master, who has attained oneness with the higher realms of angels, fairies and other celestial beings. different colours, with translations into German, French and Italian. Colour is something that charms and fascinates our outer sight. Colour is something that enlightens and illumines our inner vision. A delightful book of aphorisms for joy and inspiration These handpicked aphorisms, each echoing like a struck Himalayan bell, are the wisdom of ancient and eternal truths infused with modern insights. Open your heart, silence your mind and embrace these soul-searching truths. May their insight be the companion and guide to the seeker in you through your life’s journey! Sri Chinmoy's Heart-Garden book of inspirational poems and aphorisms presented with two delightful floral incenses, Lavender and Frangipani, and a ceramic Frog incense holder. An inspirational pocket book of angel aphorisms. 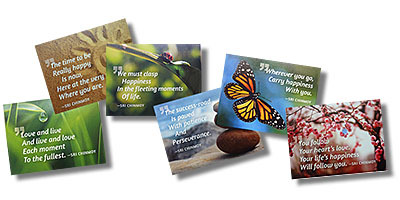 Inspirational aphorisms on encouragement to bring cheer to the heart. Beautiful and inspirational aphorisms on harmony. A beautiful pocket book of inspirational aphorisms on ever-new spiritual unfoldment. Inspirational thoughts for young minds. In this small volume, the first in a new series focusing on the manifold ways in which God touches each and every life, Sri Chinmoy descibes the constant flow of Grace from Above and explains how we can become more receptive to it. Mistakes are an inevitable and perhaps necessary part of human life. Sometimes we do the wrong thing consciously, at other times unconsciously. No matter whether our mistakes are grave or minor, there comes a point when we need forgiveness­—from God, from others whom we have hurt, even from ourselves. In this book Sri Chinmoy offers us his illumining guidance on how we may seek the divine Forgiveness that will not only transform our lives, but grant us the promise of a cloudless new beginning. Our very existence on Earth depends on God’s Compassion, yet its meaning eludes us. Sri Chinmoy explains that to understand Compassion, we must first recognise it; and, to recognise it, we must first experience it. It is God’s Compassion that is moulding us, guiding us and illumining us at every step of our journey through life. The more we cry to God for Compassion, the more He inundates us. 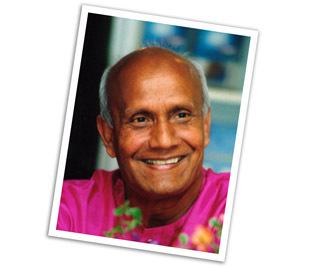 In return, Sri Chinmoy says, God asks only that we distribute this Compassion to our fellow earth-travellers. Love enlarges our hearts. To offer love to another human being, to the world, or to God is the greatest gift of life. Love enriches every moment, every act. And, because we are only human, we long to be loved in return. Alas, human love is fleeting; the world is unloving. Only in God do we find a Beloved whose love for us is eternal and unconditional. Sri Chinmoy vividly describes how God loves us more than we can ever imagine. Through his eyes, we begin to fathom the true nature of divine love. What should we do when someone we love dies? Who can console us? What happens when someone passes beyond the Curtain of Eternity into death, the World Beyond. The World Beyond may be unknown, but it is not unknowable. In this insightful and uplifting book, Sri Chinmoy shares inner secrets and profound insights about what happens after death. Sri Chinmoy offers solace and a new realm of hope in the face of death. He explains that the afterlife does exist, and that it is not something alien, to be feared, but a normal and natural experience that everyone shares. This book contains priceless wisdom about this world and the World Beyond, and offers deep consolation and inspiration. With their prophetic messages, dreams can offer us deep inner wisdom. They may foretell the future, reveal the solution to a problem or give us a spiritual experience. We are healed by dreaming of a beloved friend or family member. How can we decipher dreams that come to us? Who exactly was the Buddha? The light of Lord Buddha has shone like a beacon for centuries, calling men from across the sea of darkness. Like lost children, millions of seekers have reached out to the light and the Buddha has shown them the Way. In these ten plays, adapted from incidents in the life of Lord Buddha, Sri Chinmoy conveys the poetry and power of the Buddha’s message. Sri Chinmoy offers practical advice on a subject that is not just an idealist’s dream, but a concerned parent’s lifeline: fostering your child’s spiritual life, watching him or her grow up with the love of God and a heart of self-giving. Includes a parent’s guide to meditation, stories for children that delight and inspire, and answers to children’s questions about God. 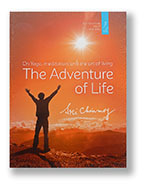 In this book, Sri Chinmoy presents a fresh and original perspective on various aspects of Yoga and the spiritual life. Written in a practical vein, it offers the newcomer as well as the advanced seeker some deep and penetrating insights into Eastern mysticism and philosophy. The latter half of the book contains questions and answers on the soul and the inner life. 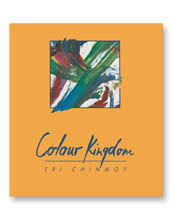 These have been drawn from thousands of university lectures and public meditations given by Sri Chinmoy. Ideally suited for travel reading. Topics include: Our Peace Is Within, Your Soul's Special Mission, The aim of life, What Is Spirituality?, What is Yoga?, Bhakti Yoga, Karma Yoga and Jnana Yoga and What is God's Plan. 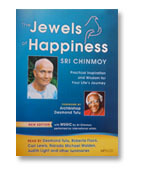 In the first part of this book Sri Chinmoy explores the spiritual dimensions of music. He presents music as a vehicle to expand one's consciousness and as the living expression of the divine Consciousness within. Whether you are a musician or simply a music-lover, his advice and guidance will help you use the power of music to get in touch with your highest self. Part two explores the use of mantra and japa for spiritual growth and fulfillment. 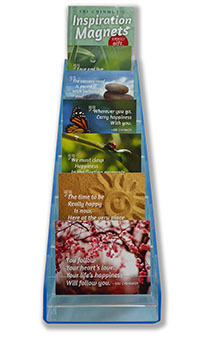 Detailed instructions on their use include specific mantras for spiritual progress, health, wealth and more. En route to his own realisation, Sri Chinmoy attained mastery over the kundalini and occult powers. In this book he reveals the qualities, characteristics, sounds and colors of each of the seven chakras. This book represents one of the very few genuine accounts of the inner universe - the universe beyond space and time, beyond all mental formulation. It is not a philosophical or theoretical book, but a vivid description of the spiritual reality by a Yogi who makes his home there. Topics include: Consciousness, infinity, God-realisation, samadhi, bliss, the inner universe and human transformation. A champion sprinter and decathlete in his youth, Sri Chinmoy in this volume offers his rare insight into the relationship between spirituality and running. At once sublimely elevating and supremely practical, Sri Chinmoy’s words will encourage and inspire both the inner and outer runner in you towards ever-greater progress, happiness and success both within and without. The Jewels of Happiness is a treasure chest of wisdom and joy - a compilation of succinct and insightful pieces of prose, practical exercises and uplifting aphorisms and verse, many of them published for the first time. Addressing themes such as peace, enthusiasm and love, the self-contained chapters combine to create a wonderful tapestry of inspiration. Sri Chinmoy's easy-to-follow exercises, based on perennial ancient wisdom, are truly pertinent for the modern era and perfectly suited to our fast-paced lives - his amazing ability to offer positive help and insight speaks to each reader as if the words were written just for them. 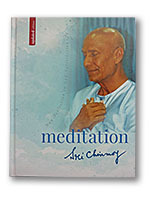 Archbishop Desmond Tutu, Singer Roberta Flack, Grammy Award winning producer Narada Michael Walden, Olympian Carl Lewis, Mr Universe Bill Pearl and others.
. . . plus a special section in which Sri Chinmoy answers 150 questions on a wide range of experiences often encountered in meditation. Topics include: adversity, ambition, beauty, confidence, discipline, ego, forgiveness, grace, healing, intuition, joy, pride, prosperity, and many more. Would you like to overcome the negative forces that stand in your way and manifest your deepest inner values in your daily life? The Divine Hero contains sound advice, entertaining stories, lucid explanations and helpful techniques for deepening your inner life. Let this book guide you along your personal journey as you nurture and strengthen the divine within you, face each inner challenge, and emerge victorious in the battlefield of life. satisfaction from sport deep and lasting. own inner secrets and spiritual perspective on training and competition. Join Sri Chinmoy as he soars to the heights of human possibility. Along the way, you too will find your path to inner harmony. "The Wings of Joy reminds all of us what is truly important. It is a blueprint for inner harmony and true joy." Beautiful nature images with Sri Chinmoy's inspiring aphorisms. Magnet Dimensions 9cm x 7 cm. These beautifully presented boxes contain a collection of 56 inspirational cards from the pen of Sri Chinmoy. The cards are decorated with Sri Chinmoy's delightful prints, called Jharna Kalas or Fountain-Art. Track 1. Experience the universal harmony and transforming power of Aum in all its wonder, as life’s river flows into the infinite cosmic ocean of the beyond. 30 minutes. Sri Chinmoy's solo flute compositions created in a high meditative state. 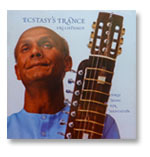 The esraj, a Bengali instrument, was Sri Chinmoy's most favourite. Its name translates as "robber of the heart." With haunting intensity, the music is drawn from another dimension: the silent realm of deepest meditation. Provides an insight into the ancient Indian healing system of Ayurveda and how these principles are as relevant today as they were thousands of years ago. Inside you will be able to discover your own mind/body constitution and understand how to create a life of balance in harmony with your own nature.